In our ever-changing society where new technological tools are being introduced into daily life more rapidly than ever before, more and more innovative and creative people are needed for the work of advancing technology. However, current educational practice in schools seems to be moving away from helping to educate our future innovative and creative workforce. With the extensive focus on assessments through standardized testing, the concern is raised that more and more teachers are forced to teach to the test. In this chapter, educational robotics is introduced as a transformational tool for learning, which promotes learning of computational thinking, coding, and engineering, all increasingly being viewed as critical ingredients of STEM learning in K-12 education. 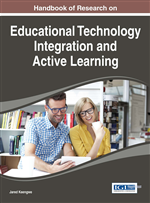 The purpose of this chapter is to highlight the importance of integrating educational robotics as a technological learning tool into K-12 curriculum to promote Rich Environments for Active Learning (REALs) to prepare students for the technology-driven future. The rapid pace of technological advancements enhanced by the interconnectedness brought on by the power of the Internet and social media has resulted in the ‘flattening’ of the world (Friedman, 2005). New technological tools are being introduced into our daily life more rapidly than ever before. The introduction of new iProducts in almost every six months is in turn accelerating the development of similar products including other smartphones and tablet technologies. Creative project crowd-funding platforms, such as Kickstarter (https://www.quirky.com) are contributing to the accelerated birth of innovative technological tools by providing essential funding directly from potential and/or interested consumers. Among these various technological advancements, robotics technology has been highlighted in recent media reports. News headlines from major news sources, including the New York Times, CNN, Wall Street Journal, and BBC, featuring various robotic innovations, are a strong indication of how much popular attention robotics technology has garnered in recent years. When watching the Jetsons television program in the 1960s and 1980s, very few people might have believed that a humanoid robot, like Rosie, would become a reality in their lifetime. On June 5, 2014, Softbank Mobile, a Japanese company, in collaboration with Aldebaran Robotics, a French company, unveiled Pepper, the world’s first personal humanoid robot. Costing less than US$2,000, Pepper is able to assist humans by reading and responding to human emotions (SoftBank Mobile Corp. & Aldebaran Robotics SAS, 2014). Prior to the introduction of Pepper, Amazon announced its plans for a drone delivery system and, in July 2014, asked the Federal Aviation Administration for permission for the drone use (Amazon.com, 2014). Google revealed the drone that they are developing and announced that they would also start drone delivery in December 2014 (A. Barr, Nicas, & Bensinger, 2014). Prior to the drone delivery plan, Google announced its acquisition of eight robotics companies, including Boston Dynamics, a Boston-based robotics company that produces robotics creations supported by the Department of Defense, and Schaft Inc., a Japanese robot venture start-up company (Ackerman, 2013). The Defense Advanced Research Projects Agency (DARPA), an agency of the US Department of Defense, held DARPA Robotics Challenge trial in December 2013, followed by its final in December 2014 1. Aldebaran Robotics’ NAO, an autonomous and programmable humanoid robot, has been used in various educational settings including RoboCup Soccer league for the development of algorithms for humanoid soccer and for the research of children with Autism. Moreover, iRobot Corporation, an American advanced technology company, introduced the popular room-cleaning robot, Roomba, in 2002, which has been sold in the market more than a decade already. Engineering Design Cycle: Engineering design cycle is a iterative process of solving a problem, especially in engineering. The process is usually less linear, often going from later steps in the cycle back to earlier steps as new information is gathered. There are many variations of engineering design cycle. The basic structure is 1) identify problem, 2) explore solutions/ideas, 3) design, 4) test and evaluate, 5) re-design, and 6) presentation of solution. Rich Environments for Active Learning (REALs): Rich Environments for Active Learning (REALs) are comprehensive instructional system based on constructivism. REALs consider learning as a continuous collaborative process to develop, revise, and reshape knowledge through activities that authentically reflect the world around students. Robotics Kits: Robotics kits are educational products developed as tools to teach programming, electronics, and various sensor technologies through the construction of robotics projects. A kit generally provides a controller, motors, sensors, and various building components. One of most popular robotics kits is LEGO Mindstorms NXT and EV3. LEGO Mindstorms was developed based on the Logo programming, which has its foundation in constructionist theory. Computational Thinking: Computational thinking is first used by Seymour Papert, and made widely known by Jeanette Wing at Carnegie Mellon University, in 2006. She explains it is problem-solving process and a fundamental skill for everyone in the world. Recently, there is a strong need to introduce computational thinking in the PK-12 educational environment. Reggio Emilia: Reggio Emilia is a city in northern Italy where Reggio Emilia approach – an educational philosophy, has established. Reggio Emilia approach focuses on preschool to elementary education. The philosophy emphasized on student-centered constructivist learning environment, in which students are encouraged to have some control over their learning. Educational Robotics: Educational robotics uses robotics kits, programming software and computer as hands-on learning tools. It can create a learning environment that can enhance collaboration and communication among students, problem-solving skills, critical thinking skills, and creativity. Constructionism: Constructionism is a learning theory developed by Seymour Papert. He was inspired by Piaget’s experimental learning theory and believes that children construct their new knowledge by constructing physical and manipulative materials, like blocks, beads, and robotics kits.